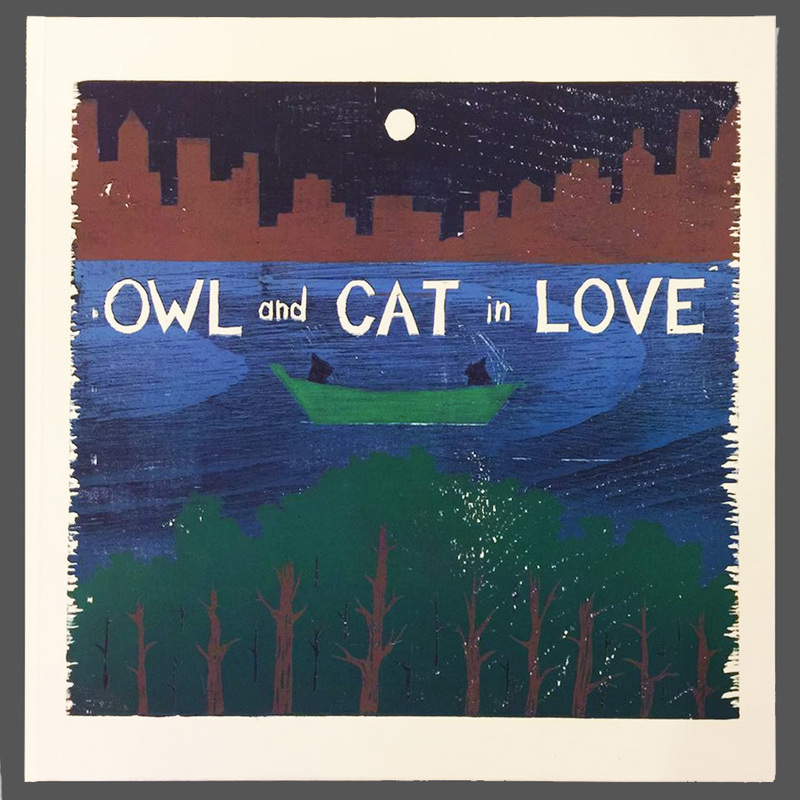 Words on Woodcuts: Owl and Cat In Love is now for sale! 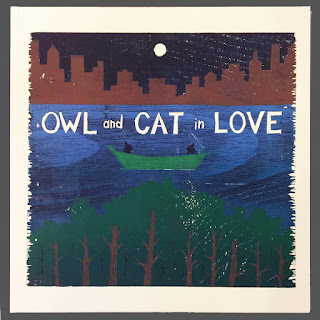 Announcing the release of Owl and Cat In Love! Edward Lear's nonsense poem "The Owl and the Pussycat" is the most familiar, published, and illustrated of all of the nineteenth-century, English artist's works. 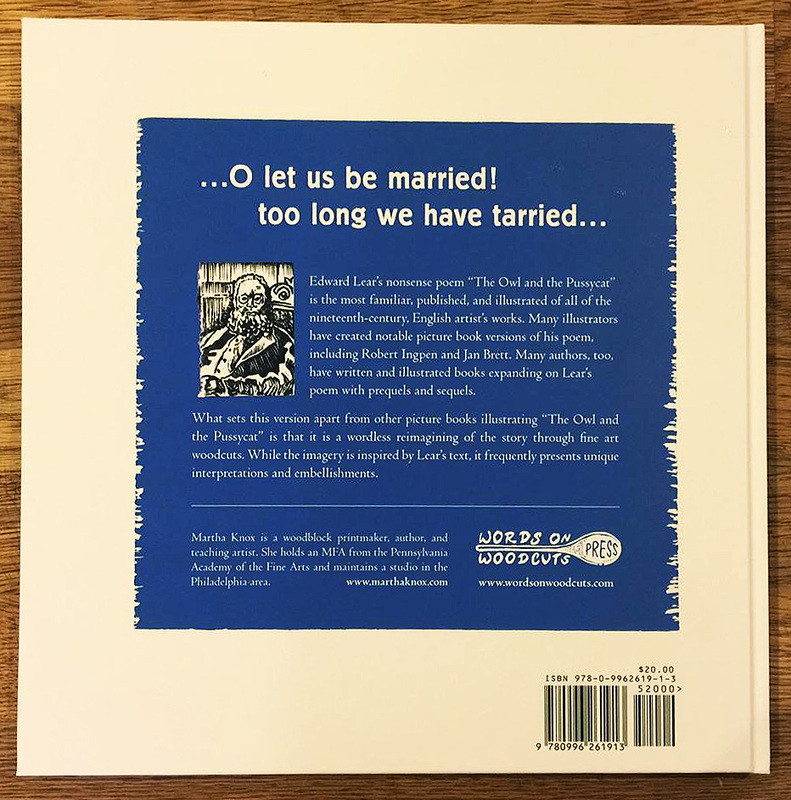 This version is a wordless reimagining of Lear's poem through fine art woodcuts. While the imagery is inspired by Lear's text, it frequently presents unique interpretations and embellishments. You can view all of the woodcuts from the series in this Pinterest album. 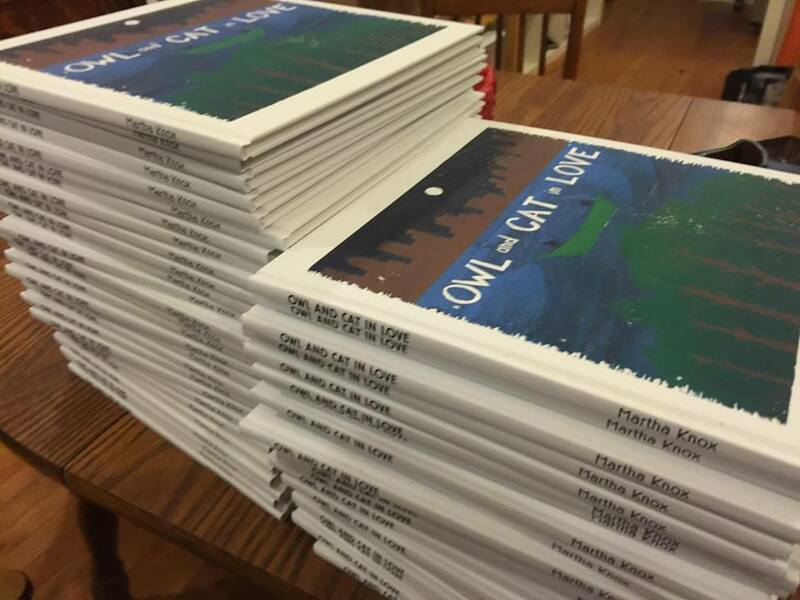 The book is 10" x 10" Smythe sewn case bind (hardcover,) color offset printing, 40 pages plus printed end sheets. 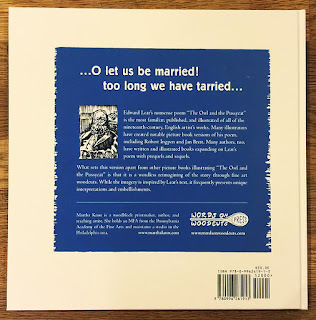 First edition of 500. Retail price of $20.00. Get a signed copy (FREE SHIPPING for US customers) by contacting me directly at marfknox (at) gmail (dot) com with the subject line "Owl and Cat In Love."